I’ll admit it; I give my dog scraps from the table. And I’m certainly not alone. But when it comes to giving our dogs human food it’s important to remember that some of them are highly toxic, and some can cause life threatening complications. Since I give my dog people food from time to time I lost count of how many times I’ve had to look up which foods are bad for dogs years ago. So for convenience I’ve made a handy little list of the major ones to avoid. 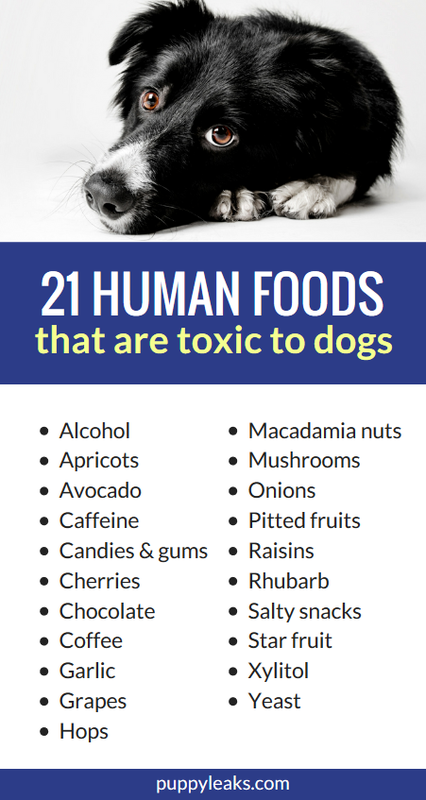 Here’s 21 human foods that are toxic to dogs. If you suspect your dog has ingested any of these foods contact your veterinarian. When it comes to alcohol ingestion it’s not just drinks you need to worry about — fermented food products such as bread dough & rotten apples can cause alcohol poisoning in dogs (commonly referred to as ethanol poisoning). Alcohol ingestion can cause diarrhea, vomiting, difficulty breathing, abnormal blood acidity, coma and even death in dogs. The stems, leaves and seeds of apricots contain cyanide which can inhibit appropriate oxygen uptake. When ingested by dogs in toxic amounts it can cause dilated pupils, difficulty breathing, panting, bright red gums, shock, and even death. Avocado contains a toxin called persin that can cause gastrointestinal upset in dogs and cats. And the large pit they contain can cause an obstruction if swallowed. Although avocado poisoning in dogs and cats is generally mild, it can be deadly to birds and some large mammals such as cattle and horses. Dogs are more sensitive to the effects of caffeine than humans, and even a moderate ingestion can cause death in small dogs. Common items that contain caffeine include coffee, soda, tea, energy drinks and diet pills as well as coffee grounds and tea bags (important to note for dogs who have a habit of rummaging through the garbage). Symptoms of caffeine toxicity in dogs include restlessness, hyperactivity, tremors, abnormal heart rhythms, seizures and collapse. Symptoms usually begin within 1-2 hours of ingestion, and they can last for as long as 12 hours. Many candies and gums contain an artificial sweetener called xylitol that’s highly toxic to dogs. Just a small amount can cause severe complications including hypoglycemia, seizures, liver failure or even death. Popular brands that contain xylitol include Orbit, Mentos, Ice Breakers, Nicorette and Trident (here’s a more comprehensive list). 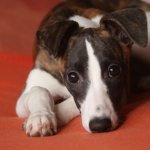 Symptoms of xylitol poisoning in dogs include vomiting, decreased activity, weakness, staggering, collapse and seizures. If you suspect your dog has ingested any candy or gum that contains xylitol contact your veterinarian immediately. The stems, leaves and seeds of cherries contain cyanide, and the pits can cause intestinal obstruction in dogs. Symptoms of cherry toxicity in dogs include dilated pupils, bright red gums, difficulty breathing, panting, shock and death. Chocolate contains theobromine and caffeine, both of which are toxic to dogs. Cocoa powder, baker’s chocolate and dark chocolate contain the highest levels of theobromine and caffeine, and the clinical signs of poisoning depend on the amount and type of chocolate ingested. 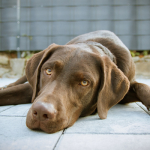 Symptoms of chocolate poisoning in dogs include vomiting, diarrhea, excessive thirst, pacing, tremors, seizures, abnormal heart rate and death. Symptoms can take anywhere from 6-12 hours to show up, and they can last as long as 72 hours, so if you suspect your dog ate chocolate contact your veterinarian. 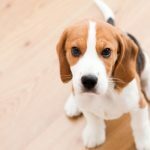 Dogs and more sensitive to the caffeine found in coffee than humans, and as mentioned above moderate ingestion of caffeine can cause poisoning or even death in some cases. Clinical signs of caffeine poisoning in dogs include hyperactivity, vomiting, elevated heart rate, tremors, seizure and collapse. Garlic is part of the Allium family (that also includes onions, leeks & chives) that contains n-propyldisulfide and thiosulphate, both of which are toxic to dogs. In large doses garlic can cause oxidative damage to the red blood cells which can lead to anemia. Symptoms of garlic poisoning in dogs include vomiting, bloody urine, weakness, panting, elevated heart rate and collapse. Grapes and raisins can cause toxicity in dogs, though the exact substance that causes the reaction is unknown. Symptoms of grape poisoning in dogs often occurs within a few hours of ingestion and they include vomiting, diarrhea, weakness, dehydration, loss of appetite, increased thirst and abdominal pain. In some instances grape poisoning has caused severe kidney damage leading to sudden kidney failure. If you suspect your dog has ingested grapes or raisins contact your veterinarian. Hops is a plant that’s toxic to dogs, and it’s used for brewing beer and can be found in some herbal medicines. The symptoms of hops toxicity in dogs include vomiting, hyperthermia, increased heart rate, panting, anxiety and abdominal pain. Macadamia nuts are toxic to dogs. Although they’re not common as a standalone snack they can be found in some baked goods such as cakes, cookies and muffins. Macadamia nuts contain an unknown toxin that adversely affects the muscles, digestive system and nervous system of dogs. 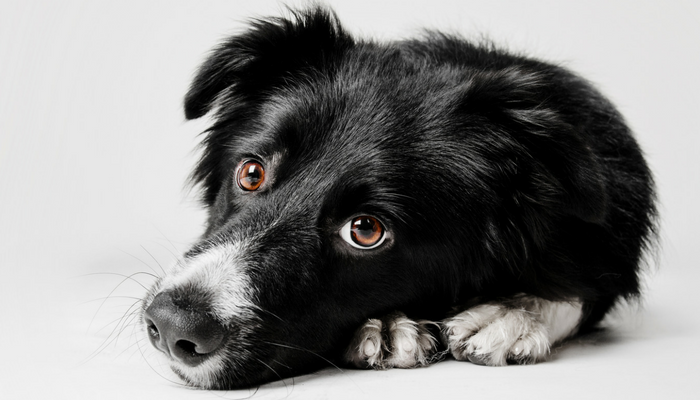 Symptoms of macadamia nut poisoning in dogs include weakness, depression, vomiting, ataxia, tremors and hyperthermia. Certain mushrooms are toxic to dogs, including some of the common ones found throughout North America. Symptoms of mushroom poisoning in dogs include vomiting, diarrhea, weakness, abdominal pain, drooling, seizures and coma. If you believe your dog ingested mushrooms contact your veterinarian, and if possible bring a sample of the mushroom for identification. Onions contain n-propyldisulfide and thiosulphate, both of which can be toxic to dogs. In large doses onions can cause damage to the red blood cells leading to anemia. Symptoms of onion toxicity in dogs include vomiting, bloody urine, weakness, panting, elevated heart rate and collapse. Although certain fruits are good for dogs in moderation it’s important to remove the seeds, leaves and pits before feeding them to your dog. Many fruit seeds and leaves are toxic to dogs, and the pits in fruit can cause an obstruction if swallowed. One of the more common human foods that are toxic to dogs is raisins. Raisins (and grapes) can cause toxicity in dogs, though the exact substance that causes the reaction is unknown. Symptoms of raisin toxicity in dogs often occurs within a few hours of ingestion. Symptoms of raising poisoning in dogs include diarrhea, vomiting, weakness, dehydration, loss of appetite, increased thirst and abdominal pain. In some instances raisins can cause severe kidney damage in dogs, leading to sudden kidney failure. If you suspect your dog has ingested raisins contact your veterinarian. Rhubarb contains soluble calcium oxalate crystals which are toxic to dogs. Ingestion of rhubarb can cause a sudden drop in calcium in dogs that can lead to acute kidney failure. The symptoms of poisoning include vomiting, diarrhea, drooling, lethargy, weakness, bloody urine, tremors and changes in thirst and urination. Salt is toxic to dogs, so when it comes to giving your dog a treat avoid salty snacks such as chips and pretzels. Dogs can generally tolerate moderate levels of salt if they have access to plenty of fresh water, but high levels can lead to salt toxicity (which can also develop after dogs spend time in the ocean which contains 3.5% sodium). Symptoms of salt poisoning include vomiting, diarrhea, tremors, elevated temperature, seizures, tremors, coma and death when left untreated. Star fruit contains soubule calcium oxalate crystals which are toxic to dogs. Ingestion of star fruit can cause a sudden decrease in calcium that can lead to acute kidney failure. Symptoms of star fruit poisoning include drooling, vomiting, diarrhea, weakness, lethargy, bloody urine, tremors and changes in thirst and urination. Xylitol is an artificial sweetener that’s highly toxic to dogs. Small amounts of xylitol can cause severe complications for dogs including hypoglycemia, seizures, liver failure or even death. Symptoms of xylitol poisoning in dogs include vomiting, decreased activity, weakness, staggering, collapse and seizures. Xylitol is used in many gums, candies, dental products, chewable vitamins, fruit drinks and baked goods — it’s also found in a few brands of peanut butter. Ingestion of xylitol is a medical emergency; if you suspect your dog has ingested xylitol contact your veterinarian immediately. Yeast, that’s found in unbaked bread dough, is toxic to dogs can lead to life threatening complications. 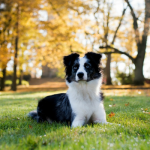 Ingestion of yeast can cause two serious issues for dogs: it can cause a life threatening condition called bloat, and it can lead to alcohol poisoning. Yeast rises in warm & moist environments, so when a dog ingests yeast it causes their stomach to expand. That increase in pressure and size can lead to bloat (also known as gastric dilatation and volvulus), a rapidly progressive life threatening condition. Signs of bloat include vomiting, a distended stomach, an elevated heart rate, weakness, collapse and death. Yeast produces ethanol during fermentation, and that ethanol get quickly absorbed into the bloodstream of dogs. Complications from alcohol poisoning in dogs include tremors, disorientation, hypothermia, hypoglycemia, and respiratory depression. Symptoms of alcohol poisoning in dogs include attempts to vomit, drooling, hyperactivity, weakness, staggering and decreased reflexes. Ingesting yeast can be life threatening to dogs, if you suspect your dog has eaten yeast contact your vet immediately. I didn’t know that xylitol was so toxic. It makes me a bit nervous because my dog regularly finds chewing gums that people have spit out, and many chewing gums contain xylitol. But maybe that’s gone by the time people are finished chewing? Thank you for sharing the list. My kids sometimes share their snacks with the dog. I will tell them. Sometimes without hesitation, the dogs will eat anything that people purposely share with them. I think dog do this frequently than a cat. Maybe just my personal experience. A cat will not blatantly eat anything. By the way, a good dog parent needs to take this list of toxic food very seriously. Kids sometimes like to share their food and maybe it will lead to serious health problem for your dog. Thanks for this list of most common food to avoid. This is very helpful and educational. Going to save it to my phone. Great to show people that try to mean well. But they don’t seem to understand that there’s no harm than good. Especially feeding your dog a treat that can cause him or her life. Thank you for this information. Thank you for this informative article! Is avocado really harmful? I fed my dog twice i think but nothings happen and he’s acting normal. I didn’t realize this salty foods can harm my dog thank you for the information. My Dog Loves Chocolates but I never seen him vomit or get sick cause of it. I was wondering if he somehow build up tolerance on it.